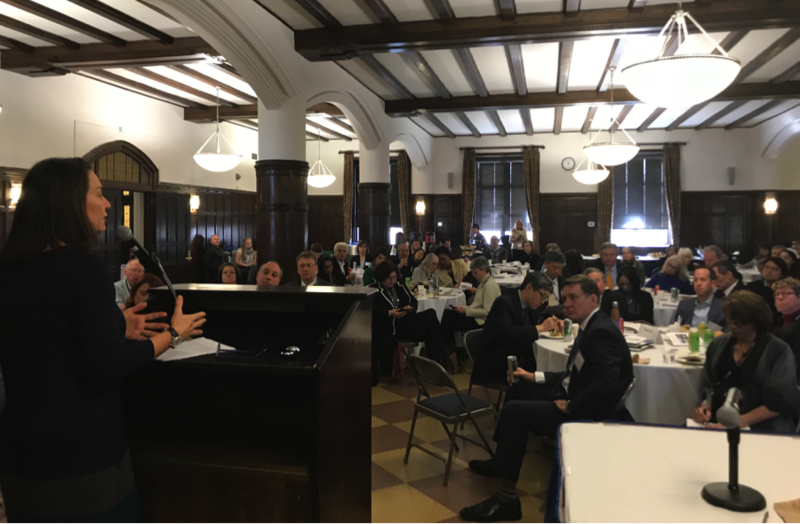 This January, local, county and state government representatives met with environmental leaders and the private sector, to discuss a greener future for Westchester County’s wastewater system. The Clean Water Westchester conference explored new ways to finance, manage, and govern wastewater collection and treatment, aimed at improving our current system and achieving better environmental outcomes – including cleaner waterways and a reduced carbon footprint. County Executive George Latimer set the tone for the day with his stated commitment to consolidate sewage collection in Westchester under County leadership and management, an approach that Save the Sound supports. Executive Latimer called for Westchester to take a longer view of our wastewater needs and plan for the next 50 to 100 years. That means planning for the oncoming challenges of increasing population and climate change impacts including more intense, frequent storms and lower drinking water reserves. Joan MacDonald, director of operations for Westchester County, and Lisa Diaz, managing partner and founder of Turf Advisory, addressed new approaches to financing, governance, and operations, including Public Private Partnerships (“P3s”), and the need for federal leadership. John Ma, director of infrastructure for First State Investments, moderated a discussion on Public Private Partnerships with experts involved in P3s in Nassau County, New Jersey, and California. A panel of international experts shared new technologies that are changing how communities manage wastewater and stormwater with a focus on greater transparency, efficiency and environmental outcomes. NYS Assemblyman Steve Otis and Sabrina Ty, president and CEO of the NYS Environmental Facilities Corporation, provided information on available state funding for wastewater projects on the local, inter-municipal, and county level. 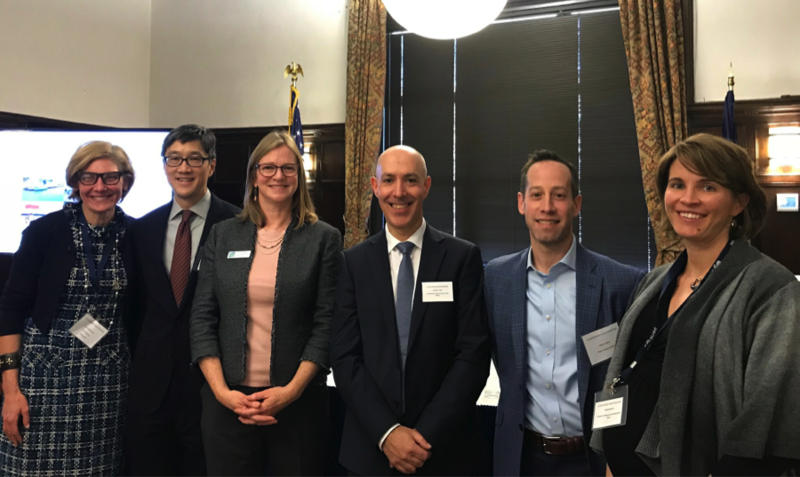 Pictured above (left to right) Lisa Diaz of Turf Advisory, John Ma of First State Investments, Tracy Brown of Save the Sound, Jonathan Yates of ARUP, Aaron Gold of Argo Infrastructure Partners, Kendra Morris of SUEZ North America. Save the Sound thanks our conference partners Turf Advisory, Federated Conservationists of Westchester County, and the Elisabeth Haub School of Law at Pace University, and our conference sponsors Kamstrup, DHI, NY Blue Tech, Danish Clean Tech, and Riverkeeper.